Saudi Electricity Company is into generation, transmission and distribution of electricity within the Saudi kingdom. The company enjoys monopoly of entire transmission and distribution network in the country and manages around 37000MW of power. The company employs approximately 38000 people, as of 2017 and is one of the largest employers of Saudi Arabia. This conglomerate, established on 1st of January 2012, comprising of six primary departments, operations and control, maintenance, planning, engineering, projects, and technical services, in addition to two central departments, is fully-owned by the state government. Electric power generation is considered the company’s principal activity. It was born out of a transmission company, – National Grid SA –to operate the national grid. Geographically its operations are divided into 4 main sectors, The Central sector, The Eastern sector, The Western sector and The Southern sector. Saudi Electricity Company’s mission is “to provide electricity and enough generating capacity using highly reliable and high readiness production techniques to meet the growing demand for electricity. The company achieves this with an optimum use of resources and investing all capabilities towards reaching its main purpose, i.e., decreasing the cost of electrical power production.” Saudi Electricity Company’s USP or unique selling point lies in being the biggest producer of Electricity powering the Kingdom providing employment to the largest number of people in the region. 1. Monopoly in production, transmission and distribution of electricity in Saudi Arabia. 1. Monopoly in production, transmission and distribution of electricity in Saudi Arabia: The Company enjoys a strong monopoly in production, transmission and distribution of power in Saudi Arabia to agricultural, commercial, industrial and residential sectors. The company has a generation capacity of more than 74 gigawatts. It has 13 steam generation units and 9 gas generation units in power plants divided in four zones namely east, west, south and central. SEC has laid 5,78,000 km of overhead and ground networks of cables to cover the entire kingdom, added 150 new residential communities, 502,000 new customers, 34,674 new transformers giving 19,368MVA total capacity of distribution transformers and has electrified 9.1 million consumers till 2017. Also, it enjoys support from the government which makes it the largest producer and supplier of electricity in Saudi Arabia. 2. Subsidised electricity tariff for residential consumers: The council of ministers in Saudi Arabia are responsible for setting electricity tariffs of commercial, residential and industrial rates. The rate for residential stands at 18 halalah/kwh, 20 halalah/kwh for commercial and 16 halalah/kwh agricultural sector. But there is increasing pressure to increase the tariff rates due to plummeting oil prices and the economy suffering a steep downfall. This subsidy is mitigated by offering interest free loans, deferred payables to government and waiver of dividends on government shareholdings. 3. Strategic geographic location, availability of cheap raw materials: The country Saudi Arabia is an oil rich nation. It produces nearly 10.3 million barrels per day of crude oil. This oil is available for SEC at lower rate, so maximum electricity is produced by gas turbines. Geographically too, Saudi Arabia is surrounded by the GCC which is an oil rich belt. This lends it great advantage in reducing the company’s cost in procurement of raw material. 3. Increase dependence on local industries to help national economy grow. 1. The government is responsible for setting electricity tariffs: The council of ministers advices the Electricity and Co-generation Regulatory Authority on the tariffs and are responsible for setting the rates. The electricity rates are highly subsidized for residential consumers and are set at 18 halalah/KWh. Due to the subsidized rates the company incurs huge losses. To compensate these losses, the government provides heavy funding in forms of zero-interest loans, deferred payables, etc. Due to increasing dependence on government the company is facing difficulties in reducing its operating costs. 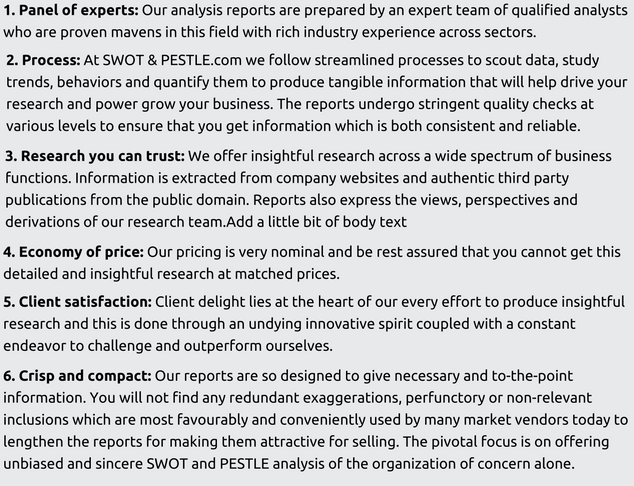 So, the company needs to find a suitable tariff that covers its operational costs and capital investments for production, transmission and distribution. 2. Political interference and bureaucracy: The electricity tariffs are established by an independent agency which advice the council of ministers. These rates are far below the actual costs of electricity production. This has resulted in decreased revenues and a reduction in the number of investors, making it difficult to build up adequate reserves for peak times. This has led to the government thinking of privatising the company. In many other operational spheres too political influence and bureaucracy impacts the performance and ultimate bottom lines of the Company. 1. Plans to increase tariffs: There is an increasing pressure on the government to increase the tariffs in order to meet the increasing expenses. Due to heavy funding from the government and the laggard attitude of the company officials the company has not been able to recover the costs. So to make the company more independent and to improve its operating efficiency there are talks of increasing the tariffs. Also due to falling oil prices and weakening of the government funds it has become increasingly necessary to hike the electricity tariffs. This can affect the demand of electricity in short run. 2. Increasing demand due to growing economy: As the economy is growing the growth in electricity demand has been estimated at 6.3%. Also being the sole producer and supplier of electricity Saudi Electricity Company has to shoulder the responsibility to meet the increasing demand. With the increasing demand, there is an increased pressure to produce electricity sustainably. Economic growth in the Arab empire and the surrounding Gulf Cooperation Council (GCC) countries, principally fuelled by oil and gas, calls for a reliable and robust power infrastructure in order to meet the needs of the expanding industrial and commercial spheres in the region, as well as to households. Saudi Arabia is ramping its power generation capacity from less than 60 gigawatts (GW) to about 91 GW by 2020, aiming a 50 percent hike of the power generation capacity to feed a growing economy. So, the Saudi Electricity company has to reform and restructure its organization to become more efficient and cater to the demand. 3. Increase dependence on local industries to help national economy grow: Saudi Electric adopted a strategy to localize the electricity industries, which aims to increase local content and to localize industry, as well as to create added value for the national economy. In this initiative local products are given priority over foreign counterparts. Identify local opportunities and attract investors and foreign companies to establish factories in the country. The company aims to increase the number of local factories, while providing a local supply base to help increase the reliability of electrical power. This will create added value to the national economy, and thus identify industrial investment opportunities and establish some local factories. It is a monopoly therefore it has no competitors. GDF Suez, Sojitz Power Utility 2017 Joint Venture Saudi Electricity has formed a $2.1 billion with GDF Suez and Sojitz to increase 11,000 megawatts of capacity. General Electric 2015 Joint Venture With this joint venture SEC wanted GE to train its staff to undertake O&M services. 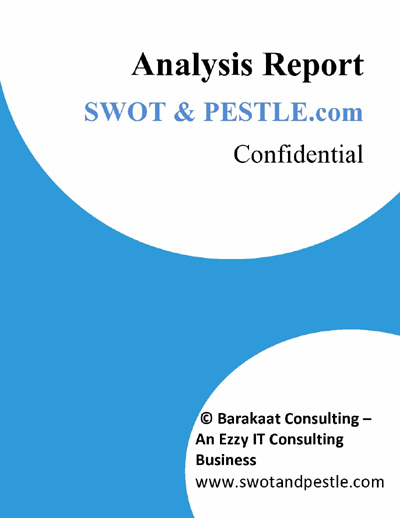 Saudi Electric SWOT and PESTLE analysis has been conducted by Abhishek Majumdar and reviewed by senior analysts from Barakaat Consulting. 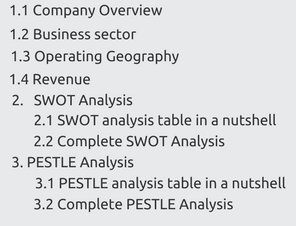 Copyright of Saudi Electric SWOT and PESTLE Analysis is the property of Barakaat Consulting. Please refer to the Terms and Conditions and Disclaimer for usage guidelines.